Our workplaces, and the nature of work itself, is changing rapidly. Your ability to stay ahead of the curve has deep implications for the long-term success of your organization. For over 30 years, Great Place to Work® has been tracking key trends and changes in the world’s Best Workplaces. Looking back at extensive data and trends over the last few years, we have gained valuable insights into the future of work in Canada. Applying these insights and data in new ways can help create a competitive advantage for your organization in 2017 and beyond. 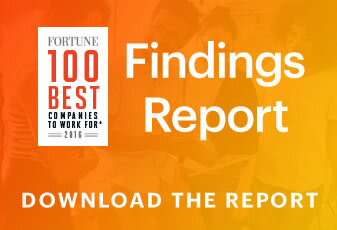 Each year, Great Place to Work® undertakes the world’s largest global study of workplace cultures across industries and geographies. Last year alone, our survey represented the voices of roughly 12 million employees. Annually, these survey results and other cultural aspects of our study are reflected in a series of “100 Best” lists published around the world including the Globe & Mail list of 100 Best Workplaces (Canada) and Fortune’s list of 100 Best Companies to Work For (USA). Heralded by researchers at the London School of Economics, Harvard Business Review and other international authorities, this ongoing study is unsurpassed in its rigour, credibility, and capacity to predict business performance. By systematically analyzing workplace, cultural and behavioural data collected over the last several years, we can extrapolate key trends and changes most likely to continue through 2017 and beyond.